EXCERPT: The Australian government has backed coal-fired power, despite the recommendations of a major report on climate change. Phasing out coal is considered crucial to limiting global warming to within 1.5C, as set out in the UN report released yesterday. Australia's deputy prime minister has said the country should "absolutely" continue to use and exploit its coal. But China remains the world's biggest coal consumer. In addition, China has restarted work at hundreds of coal-fired power stations, according to an analysis of satellite imagery. All of the worst predictions from that UN climate report only have a 50% confidence (coin flip). That's not enough to weigh against definite hardship for millions of people. Syne Wrote: All of the worst predictions from that UN climate report only have a 50% confidence (coin flip). That's not enough to weigh against definite hardship for millions of people. 'Hardship' - you jest. Much simpler - they (Australian investors) don't want to leave any coal in the ground as a useless commodity so they are turning it into dollars as quickly as possible - there is no morality in business. No, a real hardship, like skyrocketing energy prices or a restricted energy supply, that disproportionately harm the poor. And the elderly often die due to heat exposure. Syne Wrote: that disproportionately harm the poor. And the elderly often die due to heat exposure. This is a side of you I don't think we've seen before. Caring about the people who haven't found well paid jobs and who haven't saved enough for a comfortable old age. I didn't think Big Business cared so much (at all) about people with no money. Then you've made unfounded assumptions. I don't own a business, much less a "big business" (nor are my politics beholden to any), and I'm not rich by any measure other than being an American, where even our poor are solidly middle class relative to the global average. I've been dirt poor, and even homeless (several times), in my life, so I see both sides from personal experience. And I've seen, first hand, the results of enabling the bad choices that keep people poor. But it's clear that any increases in the cost of living, by way of energy prices, would harm the poor and those on fixed incomes first. Simple reality. There is technology to reduce CO2 emissions at the source (CCS) and its getting cheaper by the day. (Oct 11, 2018 04:36 AM)Syne Wrote: I've been dirt poor, and even homeless (several times), in my life, so I see both sides from personal experience. Just curious. You told me that before but you never told me what it was like. What was it like? Where did you sleep? I always think about this because it could happen to any of us. I thought maybe a dugout would be the safest place for a female but I’m not too fond of bugs. A tree tent would be more my style. Since I enjoy backpacking, I thought it would be easier and safer in the wilderness but the problem with that is resources. Hunting and fishing isn’t always that easy. I’ve been thinking about building a tiny house and I ran into these ideas the other day. 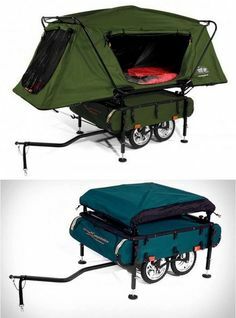 The first one is pretty cool, but if I could, I'd probably go with a bike camper. which is compatible with my view that they aren't seeing coal in the ground as a long term investment - they are shifting it while they can. To provide an alternative reason leads one to doubt either the stated reason or the suggested alternative. If continuing to mine coal lead to the death of every first born child on the planet this would be of no consequence because first born children aren't on the balance sheet. Homeless shelter, tiny two-door Datsun, SUV, and tent at campgrounds. Some were much better than others, and I was much younger too. But it's nice to know what you could resort to if need be. Quote: I always think about this because it could happen to any of us. I thought maybe a dugout would be the safest place for a female but I’m not too fond of bugs. A tree tent would be more my style. Since I enjoy backpacking, I thought it would be easier and safer in the wilderness but the problem with that is resources. Hunting and fishing isn’t always that easy. All that happened before I got my life sorted out, so there's no chance of it happening again involuntarily. 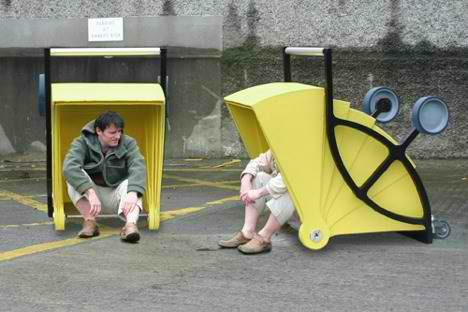 There are definitely some cool options, at least for bare shelter, nowadays. I eventually plan to convert a van for adventure traveling on the cheap. Losing 60% of their electricity would lead to serious hardship and possibly deaths, not even counting the job loss. Being the majority of their power needs doesn't even hint at it being anything but a long-term strategy.